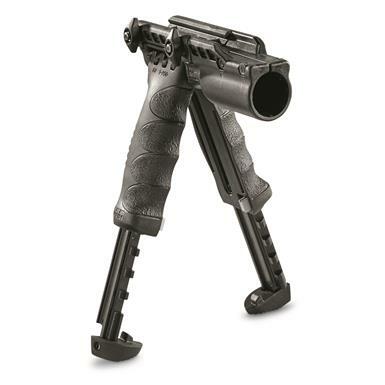 This FAB Defense Tactical Vertical Foregrip transforms quickly from Foregrip to fully deployed bipod with just the push of a button. A quick, easy tactical upgrade! Give your firearm a tactical upgrade. 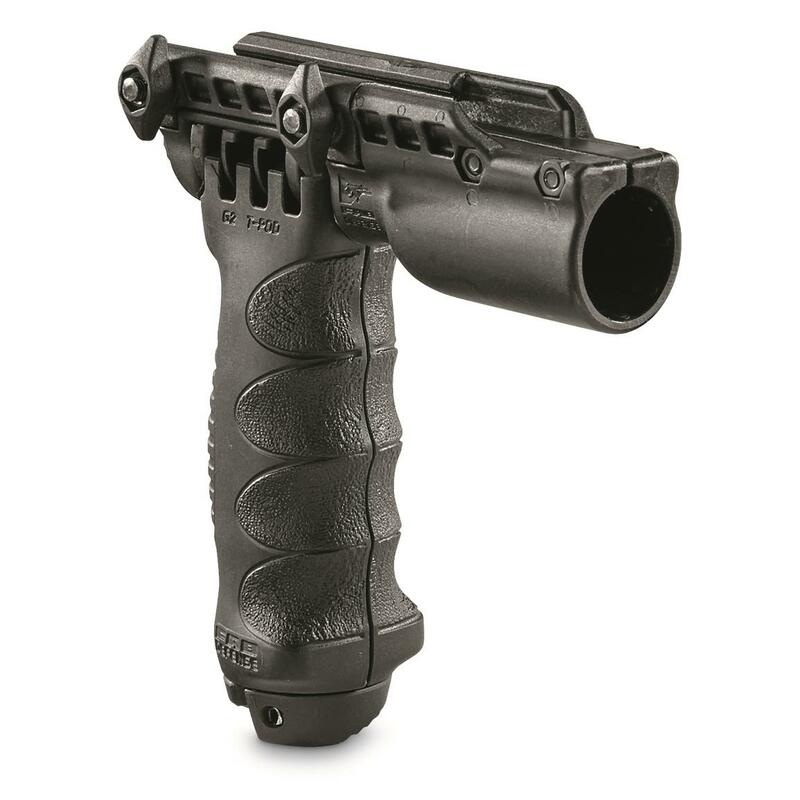 This FAB Defense Tactical Vertical Foregrip transforms quickly from Foregrip to fully deployed bipod with just the push of a button. Quickly attaches from the Picatinny rail system with a double thumb nut screw.